Let's be honest, despite many attempts, bicycle helmets have always struggled to reach the heights of fashion. That is until now. Now Hövding have created a helmet that evokes words like innovative, stylish and cool. They have turned cycle safety and fashion on its head! Hövding uses a radically new approach to design head protection with amazing results. 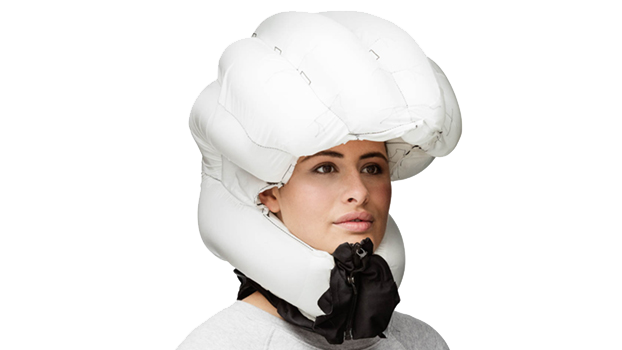 They have created an airbag collar which expands in case of an accident, enveloping the cyclist's head in a soft bubble. This system has proved extremely effective. In 2016 Dr. David Camarillo from Stanford University compared the protection offered by Hövding to that of traditional cycle helmet's and concluded it reduces the risk of concussion by up to eight times and slashes the risk of skull fracture to almost 0. The Hövding system works by activating a small helium gas inflator at the back of the collar. If it detects an accident the collar will deploy a hood around most of the cyclist's head in 0.1 seconds, leaving just enough room to preserve an open field of vision. After activation, the air in the hood will maintain pressure for several seconds, in case the accident causes more than one impact, and then will begin to deflate. By fixating and cushioning the neck, the airbag shields a very important area overlooked by most helmets. Stanford University tests have shown this approach protects the areas most at risk. Perhaps the most impressive aspect of Hövding is how it identifies an imminent accident. This is achieved by integrating several sensors monitoring your movements at an amazing rate of 200 times a second. While stunt riders and crash-test dummies gathered data on how accidents were read by the sensors, test riders provided data on everyday cycling. Putting on a Hövding is no more difficult than a traditional helmet, in fact it’s easier! First place the collar on your shoulders with the zipper facing the front and zip up completely. 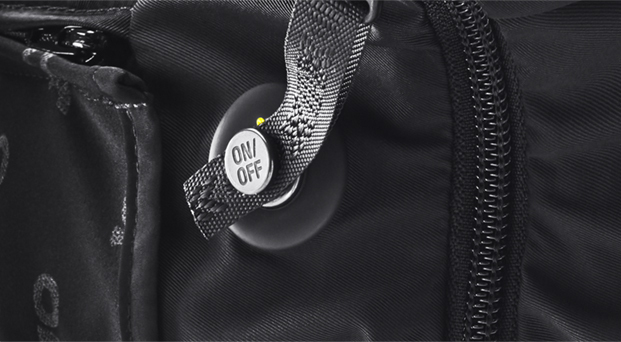 To activate just click the ON/OFF button attached to the zipper tag to the magnet next to it. There will be an activation sound and a green light will come on. When you arrive at your destination unclip the magnet to deactivate. Always deactivate Hövding when not cycling. The battery level is displayed by LED's at the front of the collar and will sound a tone when running low. To recharge simply use a USB charger with the cable provided. For maximum comfort during cycling, the collar was designed so that the weight is distributed on the shoulders. Hövding is ready for riding in all weather by encasing the airbag in waterproof fabric and the cover can be taken off for washing. Different covers can also be bought so that your Hövding can match your style.